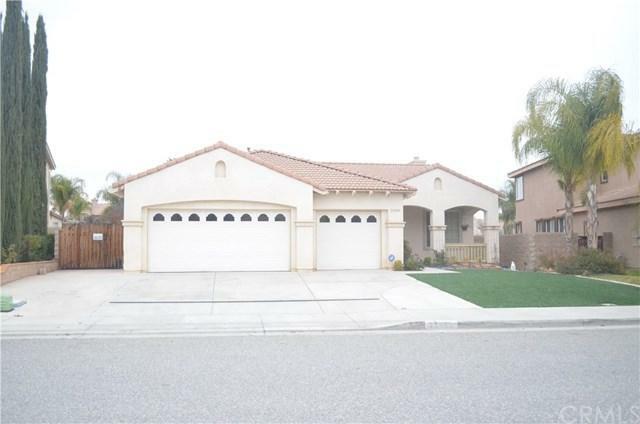 Welcome Home to this beautiful single story home in the well desired area of Menifee. NO HOA!! LOW TAXES!! 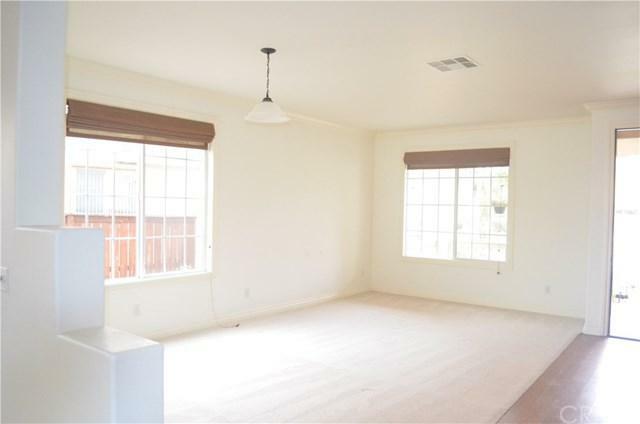 3 bedrooms plus an office which could be made to a 4th bedroom because it has a closet! 3 car garage with cabinets and storage racks. 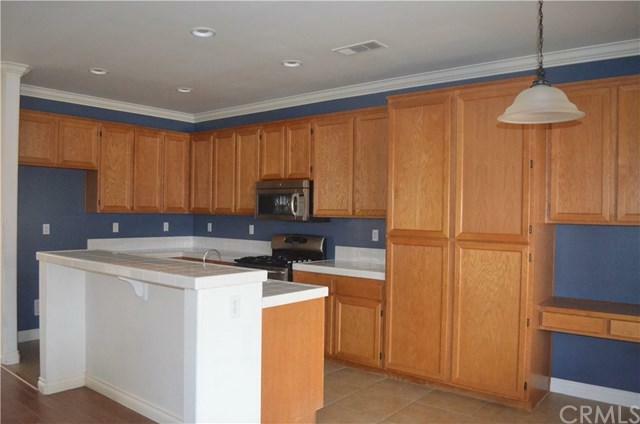 Large open kitchen with a family room and fireplace and a formal living, dining area. Large master bedroom with a separate tub and shower, walk in master closet with built in closet cabinets. Whole house fan, window shades, wood flooring, and indoor laundry. The lot is pool size sitting on over 10,000 sqft!! With RV flat parking. Covered alumawood patio cover with ceiling fans. Storage shed and spa hook ups. 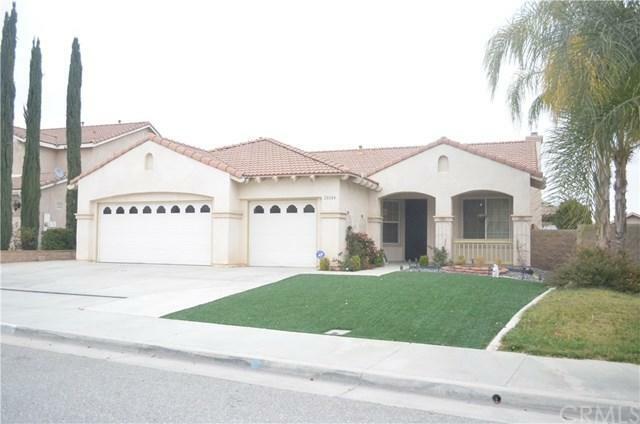 Walking distance to Ridgemoor Elementary! Wont last! !